Businesses and homeowners from the Cleveland and Northeast Ohio area have been bringing all of their heating, ventilation, air conditioning and plumbing service needs to W.F. Hann & Sons since 1907. We are renowned for delivering superior efficiency, productivity and enhanced temperature control. In fact, we are committed to continuously ensure our clients’ comfort, safety and the sound operation of their AC repair, AC installation and AC service. 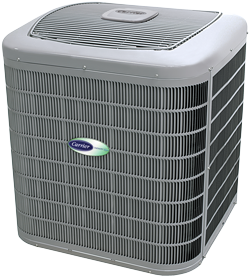 Our AC installation or upgrade will be customized to support your specifications and to deliver top performance levels. Dated systems can wreak havoc with your AC and prevent it from working efficiently and being able to deal with your growing business. These are just a few of the countless ways in which W.F. Hann & Sons will address any and all failures and improve AC service functions besides while reducing operational and ownership costs. On the occasion that Twinsburg homeowners and business owners are in the market for excellent AC repair, AC installation needs or AC service. Consequently, when Twinsburg business owners and homeowners are searching for the finest AC repair, AC installation or AC service, W.F. Hann & Sons is the only name they are required to know. Twinsburg, Ohio is in Summit County with about 19,000 residents. W.F. Hann & Sons at 26401 Miles Road in Warrensville Heights is less than 10 miles north of Twinsburg. Twinsburg residents understand if they are considering purchasing a new cooling system, they can trust that the W.F. Hann & Sons’ NATE (North American Technician Excellence) certified technicians can be relied upon to help them get the appropriate AC installation and AC service. When they need any AC repair work done, Twinsburg clients know to contact one of our AC service technicians to handle their AC needs. Our outstanding crew has the background and experience to provide our Twinsburg clientele with an improved, healthier and cleaner environment, that will go the distance in saving them both energy and money. W.F. Hann & Sons will not only meet the expectations of its Twinsburg clients, but it will do everything possible to exceed them. When you leave your AC repair work, AC installation and AC service needs to W.F. Hann & Sons, you will be treated fairly and honestly. Our commercial AC service, AC repair and AC installation is unrivaled in the industry. We are regularly acknowledged for placing our commercial and our residential clientele first and foremost in all we do. W.F. Hann & Sons technicians are all fully licensed, insured and well-trained professionals. We will always work within the confines of your schedule, wear foot coverings, utilize drop cloths, dispose of the debris and pick-up all AC service equipment. We deliver the high-tech AC service you deserve for you business office or your home. You can always be assured that you will receive only the best, most professional AC installation, AC repair and AC service maintenance from W.F. Hann & Sons. To arrange for an appointment for the optimum in AC comfort and dependability, call W.F. Hann & Sons at: (216) 831-4200, today. We are also available 24/7 for those unannounced and unplanned emergencies that can crop-up unexpectedly.